 BCG offers Emeritus status to a certified person who has had a long and distinguished career with BCG and who is retired or semi-retired. In 2015 the Board of Trustees voted to offer this designation to Marie Varrelman Melchiori. Forty years ago Marie Varrelman Melchiori found her great-grandfather’s Civil War discharge paper. It set her on a quest for more information that resulted in a career in genealogical research, service to organizations in the field, and honors that include her election this year as a Certified Genealogist Emeritus. Marie began lecturing nationally in 1986 and earned the Certified Genealogical Lecturer (CGL) credential in 1995. She had heard many lecturers talk about what great things could be found in basic military records, but they said very little about how to access the records. Marie covered what most lectures missed: the important NARA finding aids. Her handouts were in outline format and contained record group number, entry or microfilm publication number, and title. She also included the all-important source citations. In later years she added mention of records that had been digitized, the company that digitized them, and the idiosyncrasies of the digitizing process. These outlines became shopping lists that could be taken to NARA in person or online. All the necessary information was there for ordering records. 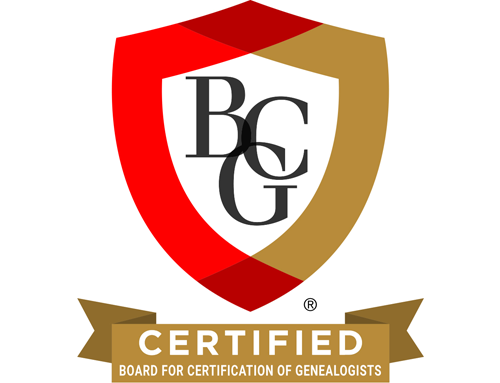 When BCG consolidated the CGRS and Certified Genealogist categories, Marie’s designation became CG. She felt, she says, “like the family who never moved, but the county lines changed around them. I am very much record-oriented and feel that it is important to have people who know their local records so well that they are the ‘go-to person’ for a particular area or subject. NARA doesn’t have many specialists left. Most are generalists.” She hopes BCG will continue to value the specialists. Huge census copies made on the old machine at NARA can now be made on smaller paper and with better quality. I have recopied my great-grandfather’s Civil War pension file each time NARA purchased a new copy machine. The information never changed, but the quality of the copy did. Now many of the NARA series are digitized, a big improvement over scratched microfilm. This also allows researchers to search records at home, at midnight and on holidays. When I started lecturing, examples were presented as overheads or transparencies, and now they are slides made in PowerPoint (PP). Since my transparencies were straight from the document or the microfilm, there wasn’t much that could be done about the quality. As assistant director of the National Institute on Genealogical Research I had the chance to read reviews of the first PP presentations given. For several years the comments were more about the bells and whistles of the presentation than the material content. When the focus changed back to content I went to computer presentations. PowerPoint slides can be tweaked, and the documents used may be from a cleaner, digitized version. A lot of what is taken for granted now was at one time cutting edge. Marie’s forty years of genealogical research, thirty-five of client work, and many years of lecturing accompanied service to genealogy organizations, too. She was assistant director of NIGR from 1987 to 2002. A member of the Association for Professional Genealogists (APG) since 1983, she served as its vice president from 1991–93 and trustee from 1994–99. In 1999 she was awarded the Grahame T. Smallwood Jr. Award of Merit in recognition of her personal commitment and outstanding service to APG. She counts as a proud moment being elected by her peers to the BCG Board of Trustees, where she served from 2002–2006. On behalf of BCG and the genealogical community, thank you, Marie, for sharing your time, your energy, and your expertise to help us all grow. Congratulations! Photo courtesy of Ryan Morrill Photography. Marie’s lecture outlines were published for conference attendees in each year’s syllabus, possibly available now in genealogy libraries. Her lectures were recorded by Jamb Tapes. It has gone out of business, so the recordings are no longer available through them. They may be archived in genealogical libraries.